In 1911, a new saloon carriage was put into traffic on the GNR(I) for the use of the directors of the company and as an inspection vehicle. 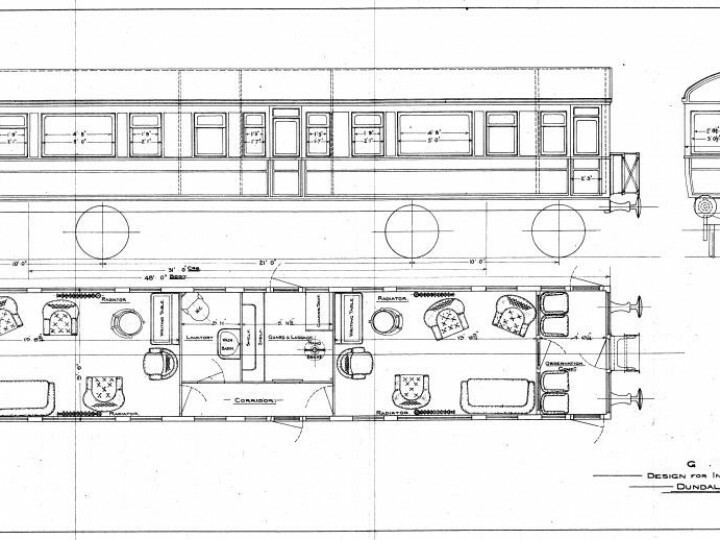 Classified A3, the saloon is 48ft long over the body (52 feet over the buffers) and 9ft 6in wide with a "high elliptical" roof. 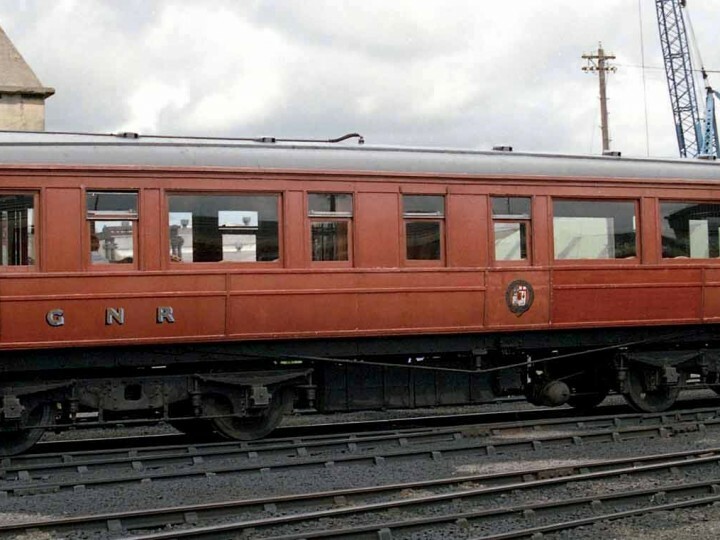 The saloon runs on 10-foot wheelbase Fox's pressed steel bogies. As built, it weighed 29¼ tons and seated 22 (though some sources have 24). It was allocated the number 50. 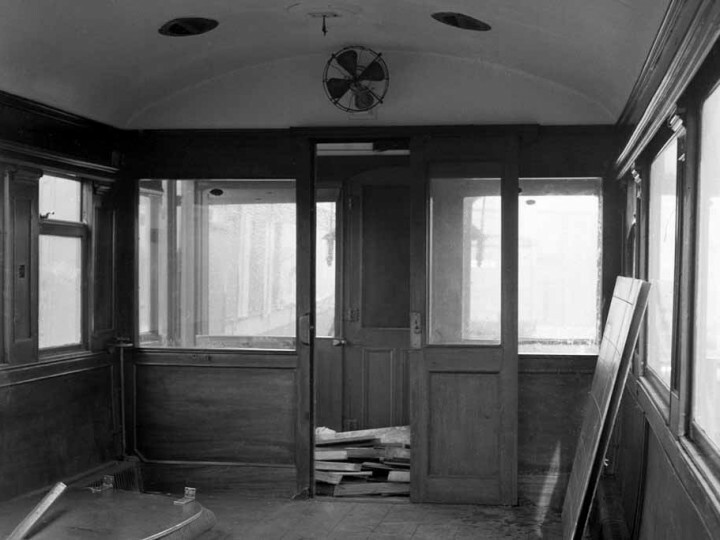 As built, there were two saloon compartments which were separated by lavatory and a compartment labelled "Guard and luggage". One saloon compartment (if not both) had an electric clock and a speedometer. 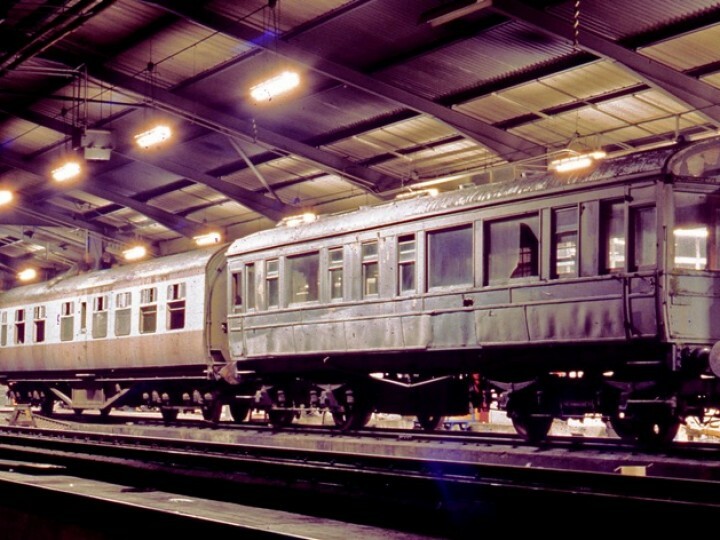 The saloon was usually kept under cover in the carriage paint shop alongside Dundalk's passenger station. 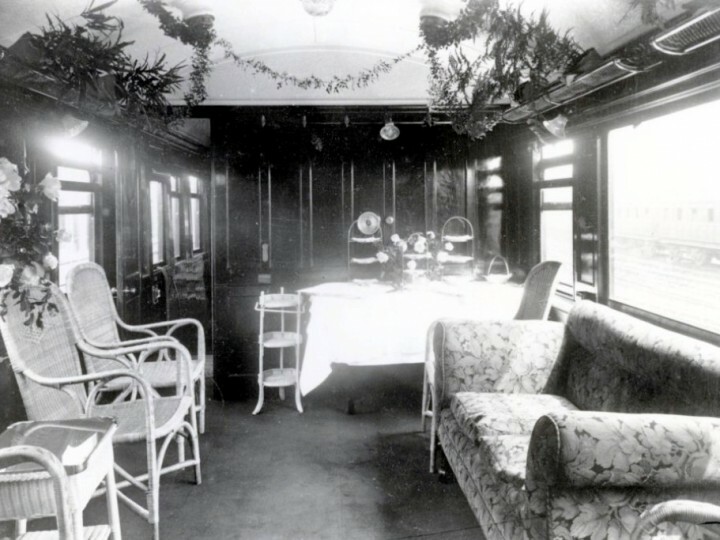 The saloon was attached to suitable trains as required to bring the company's directors and officers to and from the company's monthly board meetings, which alternated between Dublin and Belfast. The saloon was also used occasionally to convey the directors, their families and friends to the Great Northern Hotel in Bundoran, a favourite haunt. 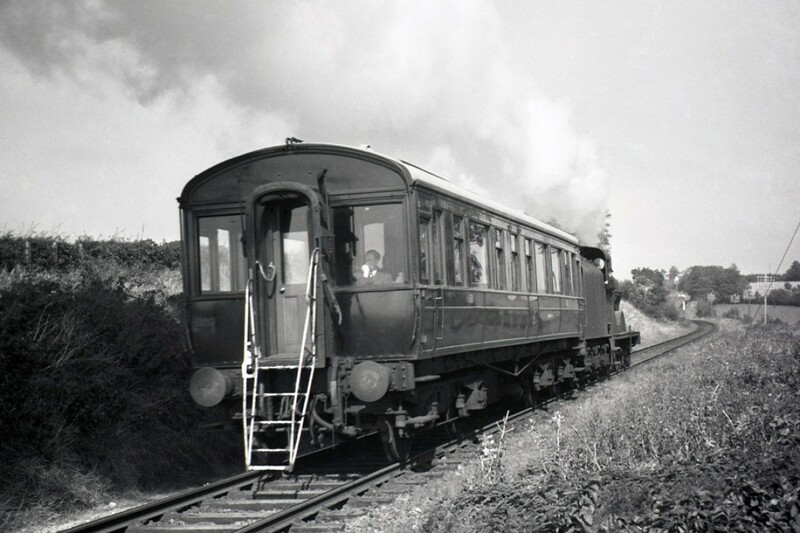 When used by the civil engineers for their inspections of the line, the saloon was usually propelled (often by U class locomotive No.200), and a lightweight ladder allowed access directly to the track when required. Brake valves mounted on the end bulkheads allowed the engineers to stop the train as required - or at least alert the driver to make a stop. 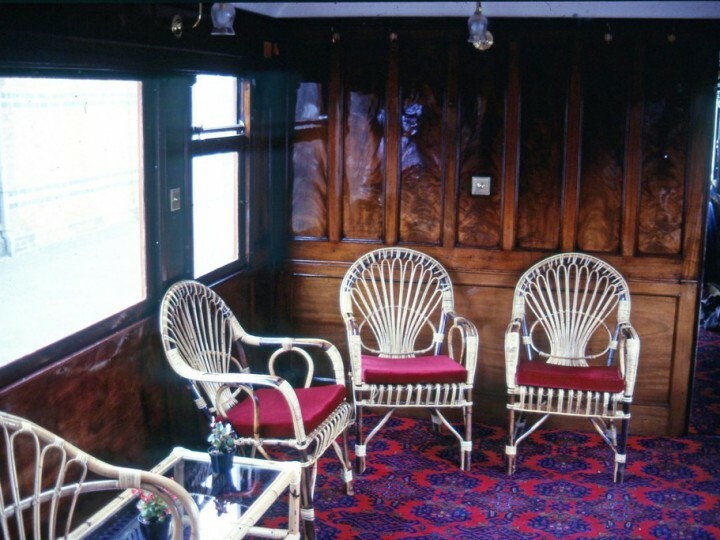 At first, the saloon had open balconies at each end. 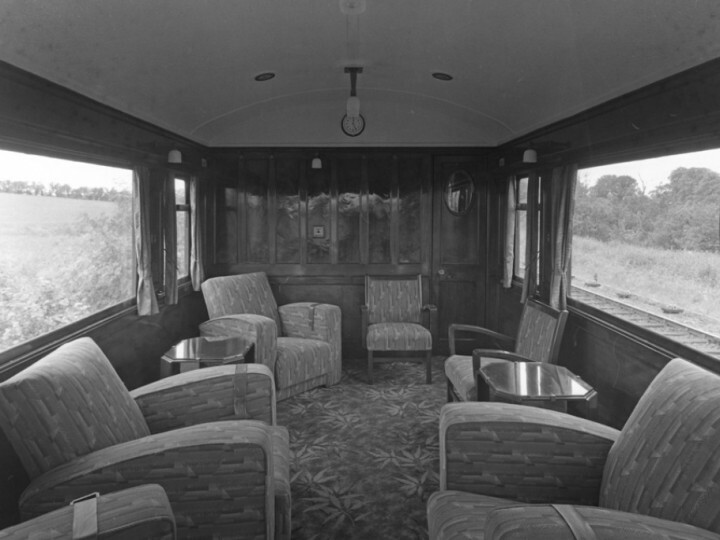 These were totally enclosed about 1924 to form "observation compartments" which were equipped with four seats facing the coach's end windows. Standard corridor connections were fitted and the saloon's weight increased to 29½ tons. This work could have been in connection with the visit of the Duke of York (later George VI) who travelled from Belfast to Newtownstewart (for a visit to Baronscourt) on 21 July 1924. 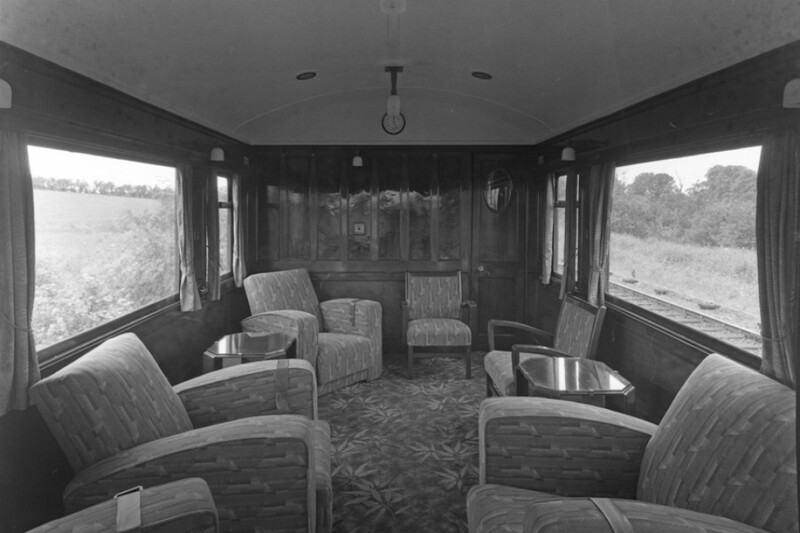 The saloon was included in the Royal Train for King George VI and Queen Elizabeth on 19 July 1945 but was not used by them as they travelled from Lisburn to Londonderry by air. 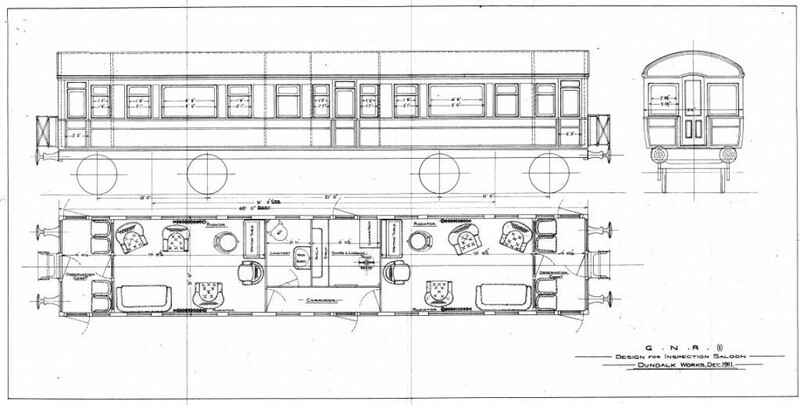 Before use on the Royal Train of 3 July 1953, the lavatory compartment was merged with the saloon so that now one compartment was larger than the other. 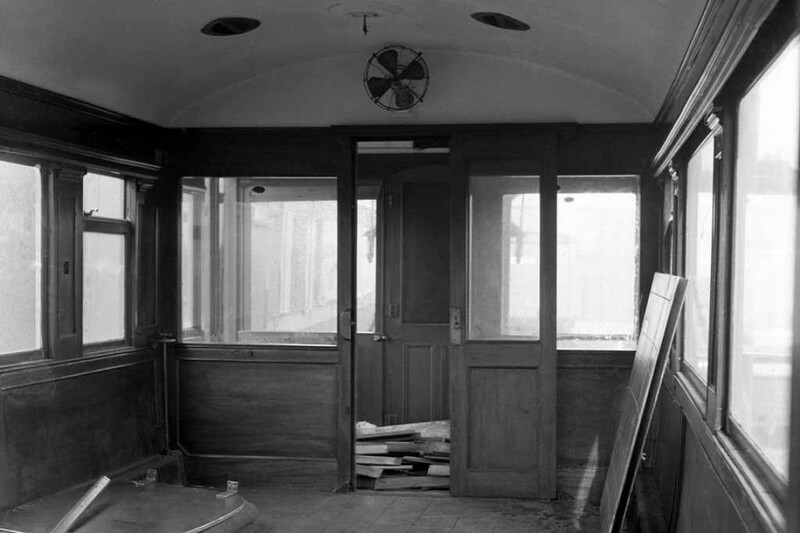 The former Guard's compartment lost its handbrake wheel, the floor was covered in terrazzo and the toilet rearranged. At the same time, the short corridor connecting the saloons was shortened. Contrary to what many railwaymen believed, the toilet space did not include a bath! 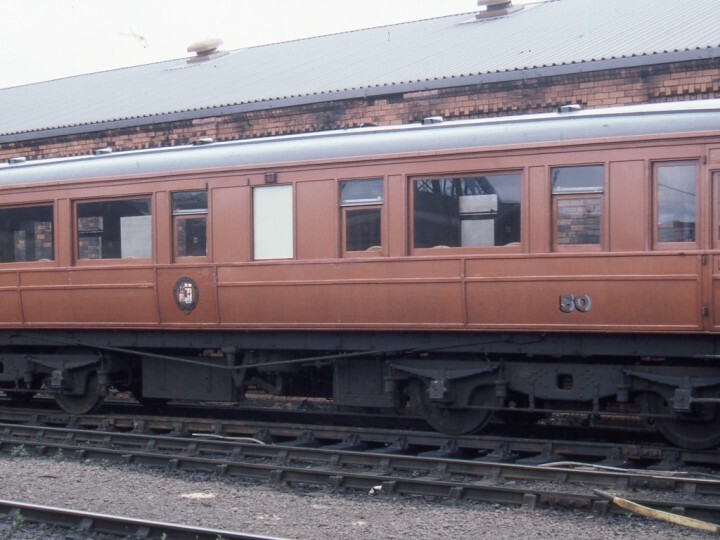 Originally externally finished in varnished mahogany, the saloon (along with all the other vehicles) was painted in the blue and cream railcar livery for use in the 1953 Royal Train. GNR practice was to carry the blue and cream around the ends of vehicles but the Royal Train vehicles had black ends as specified by the Ulster Transport Authority. 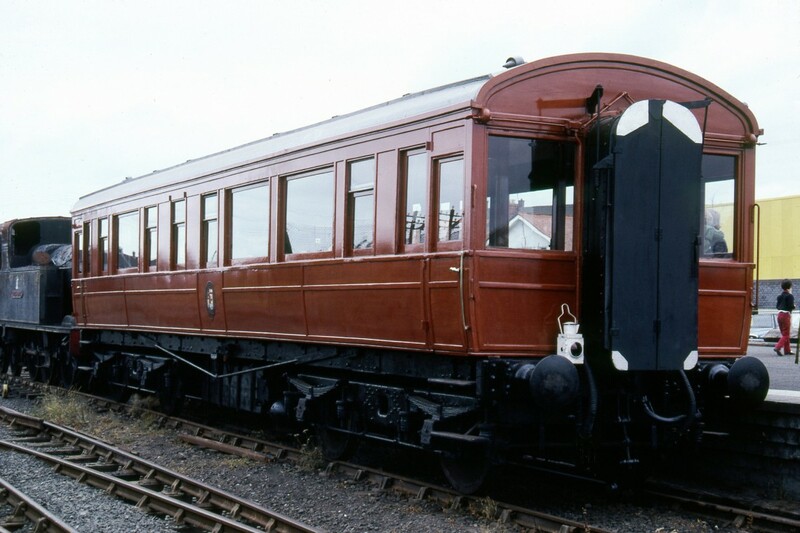 The resulting black ends distinguished the Royal Train vehicles for many years. Modern (then) “airvac” extractor ventilators were fitted to the roof. Following the demise of the GNR, the saloon saw little use. 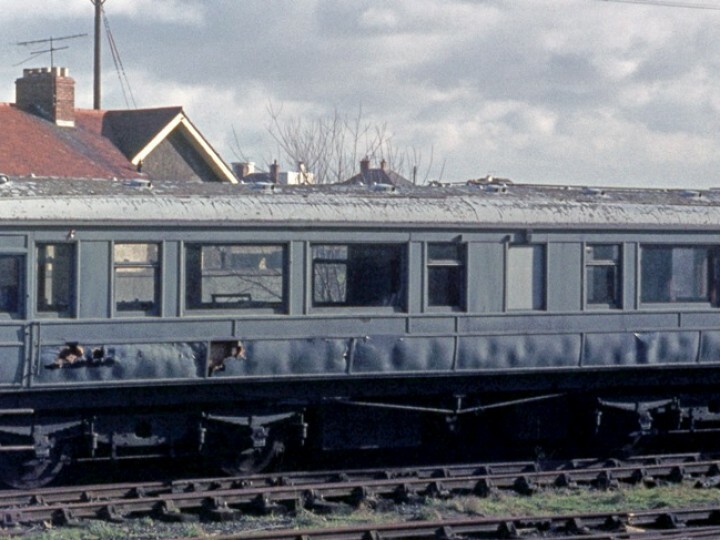 At the break-up of the GNR in 1958, the saloon passed to the UTA and was repainted in their sombre green livery and given the number N150 in 1961. 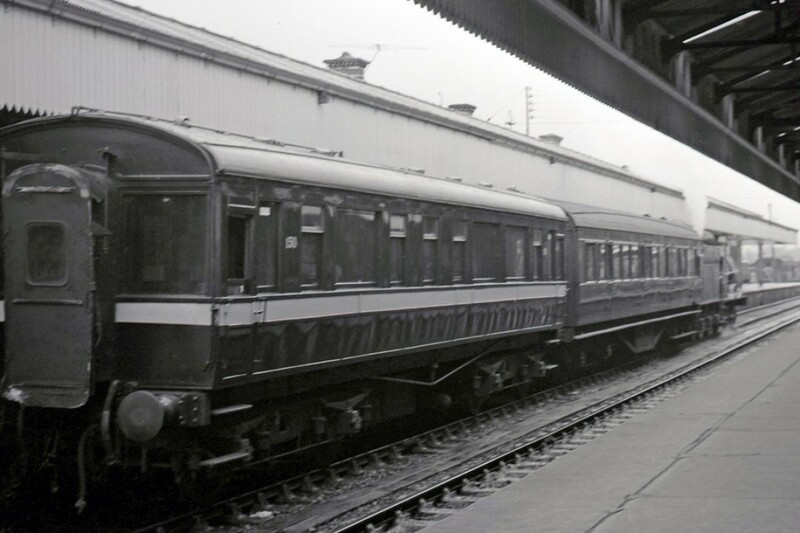 Under the UTA, the saloon was mainly used for inspection duties, many of them prior to the closure of lines such as the ex-NCC Derry Central. 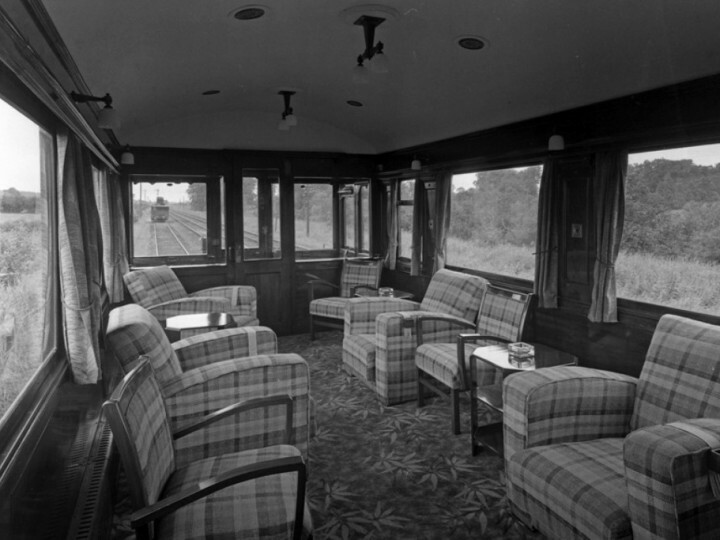 The saloon was used by Mr Benson and his team in 1963 when they inspected the entire UTA system ahead of the notorious Benson Report. 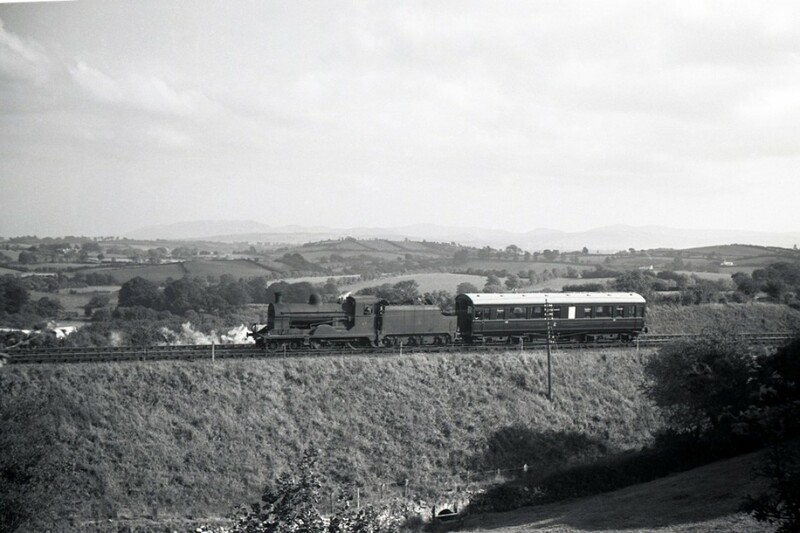 It was also seen being propelled on the GN’s Derry Road in October 1964, not long before its closure. 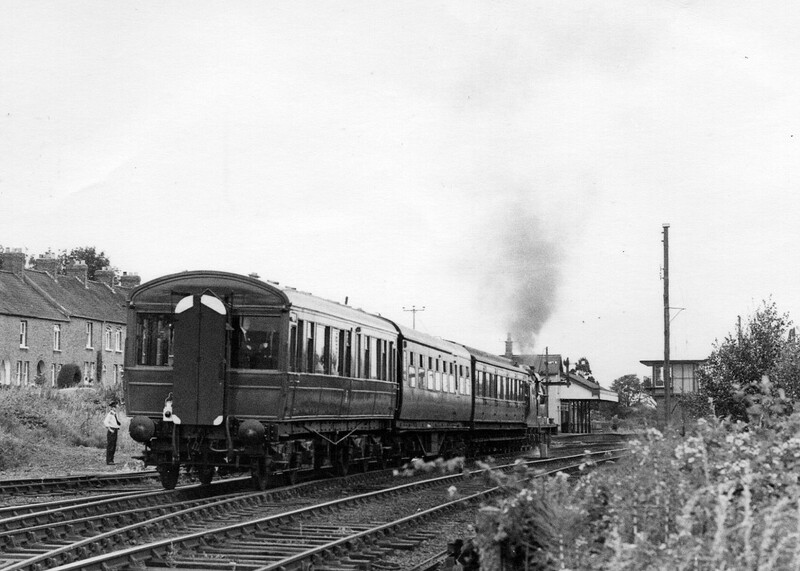 The first RPSI involvement with the saloon was in 1968 when it was borrowed to carry dignitaries to Wicklow and back after the official handing over of locomotive No.186 by CIÉ at Dublin Connolly. By then, some of the lower parts of the body had been re-panelled in Masonite, a sort of tougher hardboard. The saloon had been repainted in dark blue, with a broad yellow band. 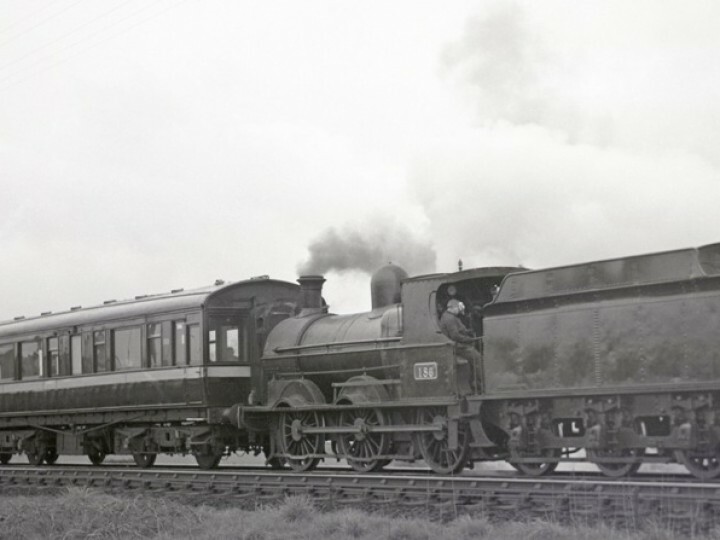 The number now appeared as just 150 in a railcar style yellow circle. 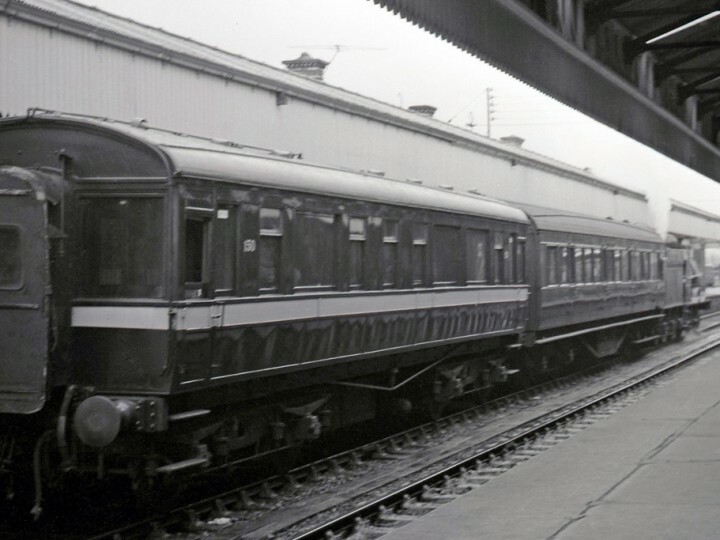 The saloon was worked to Dublin by No.186 on the Friday and, on the day of the handover (Saturday 4 May 1968), it ran as part of the Society's Slieve Cualann Railtour from Dublin Connolly to Wicklow and back. No.186 brought the saloon back to Belfast York Road (via Lisburn and Antrim) the following day. Some time after this trip the blue and yellow had given way to unlined light grey. N150 now saw little or no use, being stored in the open at various locations such as Great Victoria Street, Antrim, and York Road. Decay set in, with the panelling warping grotesquely and leaks in the roof led to much rot. In addition, she suffered broken windows while the furniture, carpets, light fittings and dynamo all disappeared. 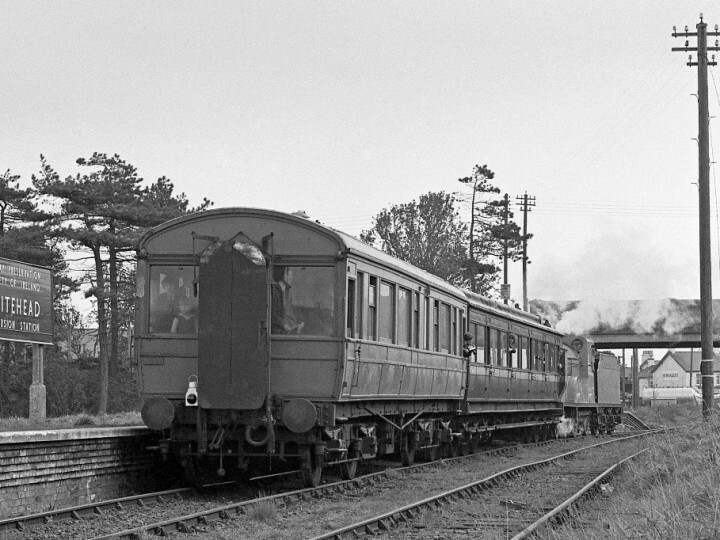 In April 1972, Northern Ireland Railways decided that they had no further use for the coach. The Ulster Tourist Development Association (of which the Society was a member) very generously agreed to purchase N150 for the Society and in Spring 1973 she was moved to Whitehead to become the RPSI’s second coach (the first was Rosslare Brake 861). The Society reverted to the original number, 50. 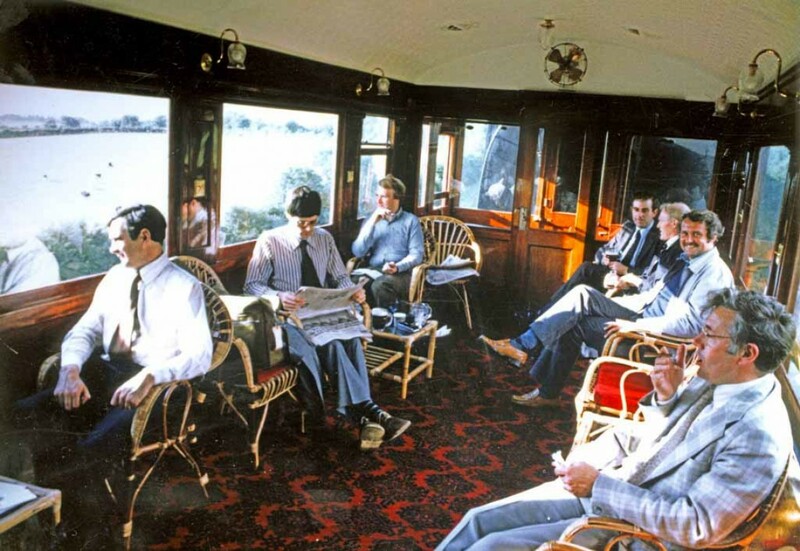 The saloon came without any internal furnishings but, even so, was used on the first "King Fergus" main line running-in trip to York Road and Larne Harbour in April 1973, and on the "Massereene" railtour to Great Victoria Street and back on 12 May 1973. But the vehicle was in poor order and was withdrawn from main line use. 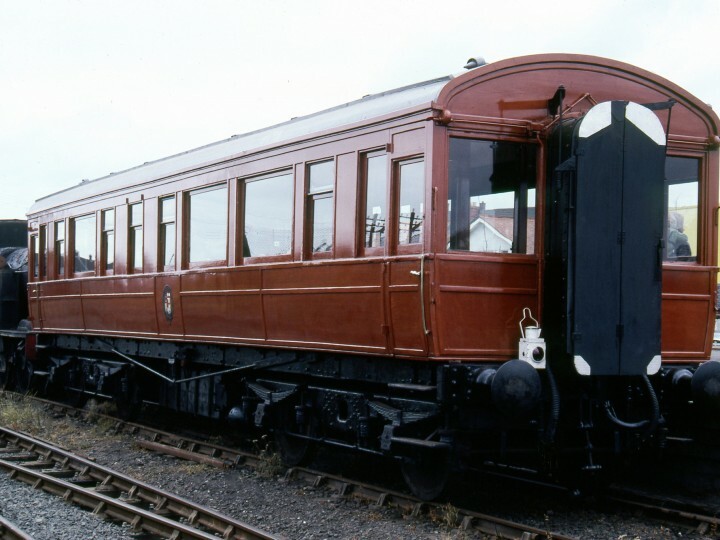 Lord O’Neill, the Society’s President, kindly offered to organise a group of friends who would sponsor the complete renovation of the coach by NIR craftsmen at their York Road workshops in Belfast. 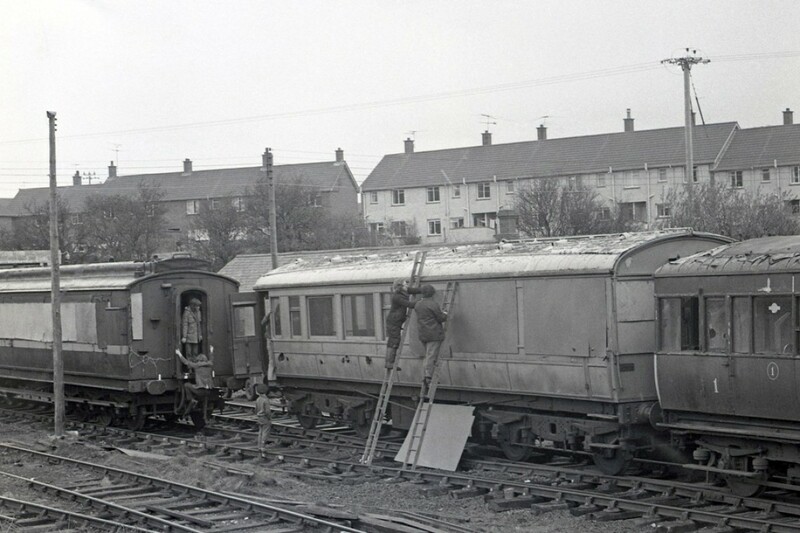 In November 1978 the saloon was moved from Whitehead to York Road, and covered accommodation. 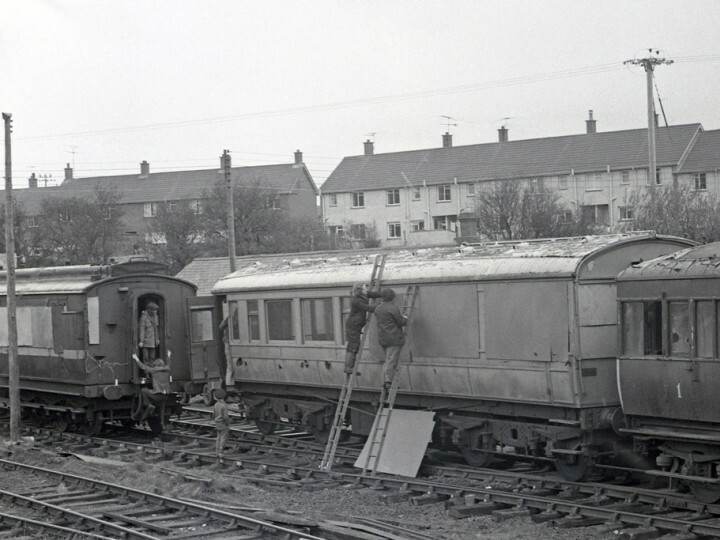 The old roof fabric, the external panelling, and the ceilings were rotten and were removed, and the coach frame dried out. Many of the vertical structural members required sections cut out and replaced, and many of the horizontal members, particularly around the windows, were completely rotten, as were the window frames, droplights, and door bottoms. The extremely time consuming work of repairing the structural members of the coach had to be fitted in with all the usual activity in York Road works but the body builders were able to work on 50 when not required for more urgent work. Following the structural repairs, the side panels were re-sheeted in marine plywood, and the roof re-covered in PVC proofed nylon. 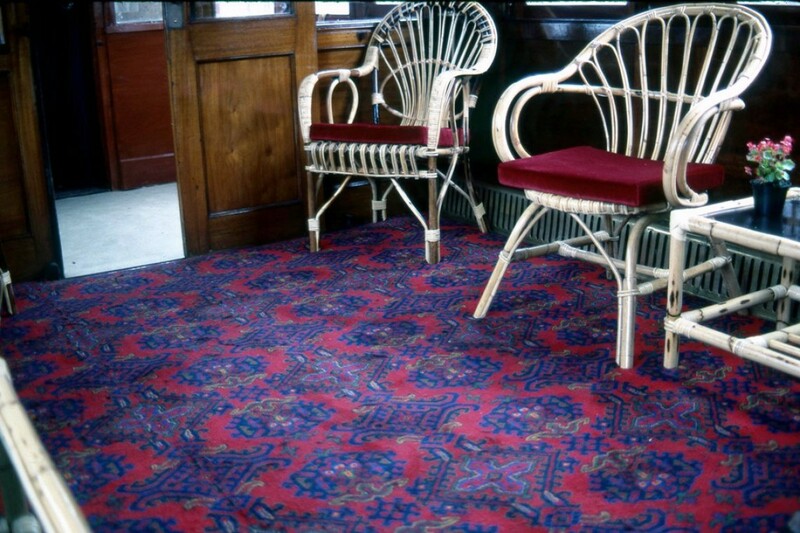 Ulster Carpet Mills of Portadown wove a new carpet and the furniture was replaced with wicker chairs and matching tables from Pinewick in Great Victoria Street. 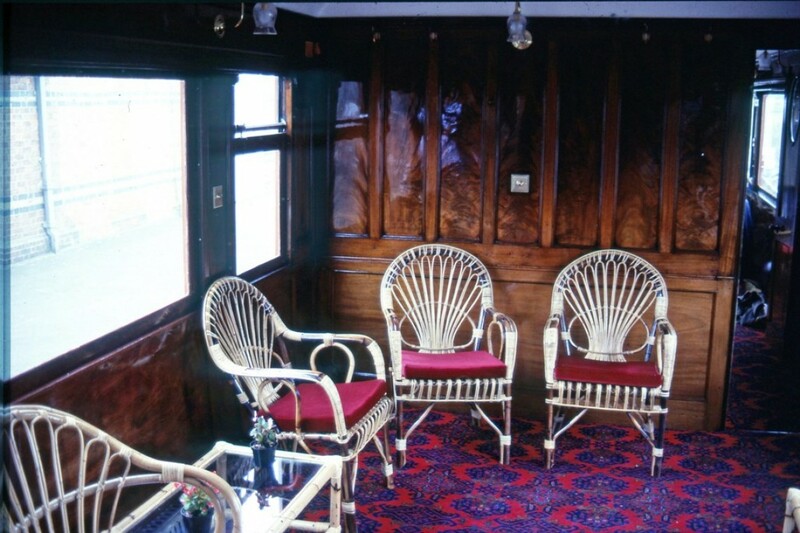 The saloon was painted in a plain mahogany colour with the GNR(I) crest on each side. The work was finished in early summer of 1981 and the saloon was taken out for a test run at speeds up to 60 mph. The only defect found was the failure of the lavatory to flush! 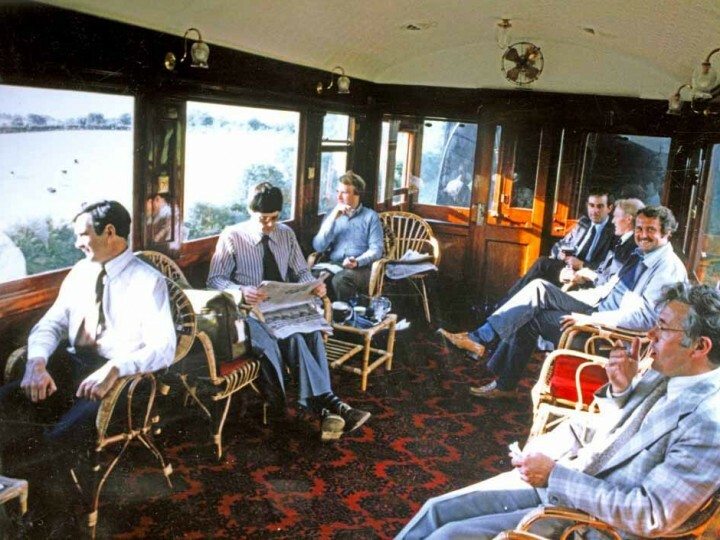 The saloon made its inaugural trip behind No 171 Slieve Gullion on 4 July 1981 when it conveyed Michael Allison (one of the Ministers in the Northern Ireland Office), Sir Myles Humphreys (Chairman of the Northern Ireland Transport Holding Company) and Hugh Waring (Managing Director of Northern Ireland Railways), our President Lord O’Neill, and other dignitaries from York Road to Whitehead Excursion station for the Society’s Open Day. The ensemble returned to York Road in the late afternoon. 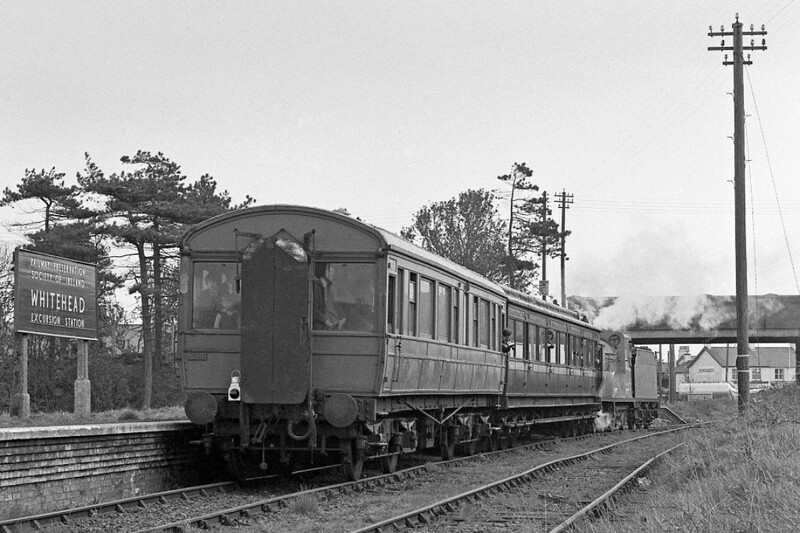 The saloon was subsequently attached to the 25 July 1981 “Portrush Flyer” and it reached Sligo during the “Ben Bulben” railtour in September that year. That was its only use on a two-day tour apart from the Dublin to Belfast leg of the "Lough Gill" railtour in 1987. 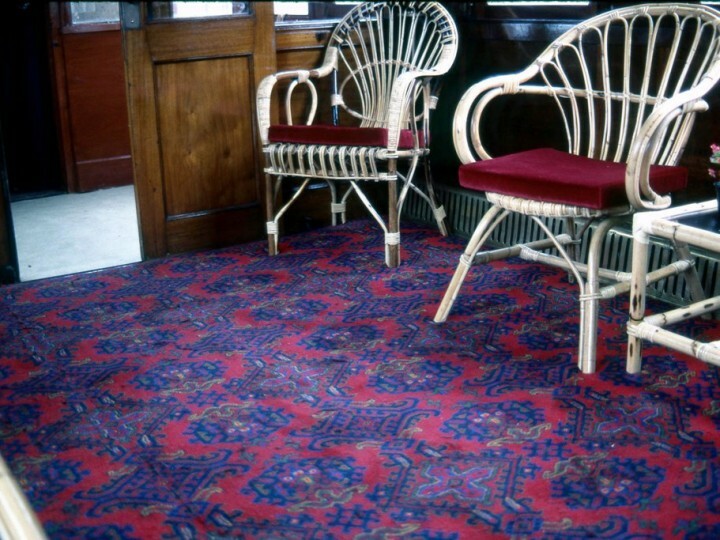 The saloon saw occasional use on excursions for several years when it could be hired, for a premium fare. 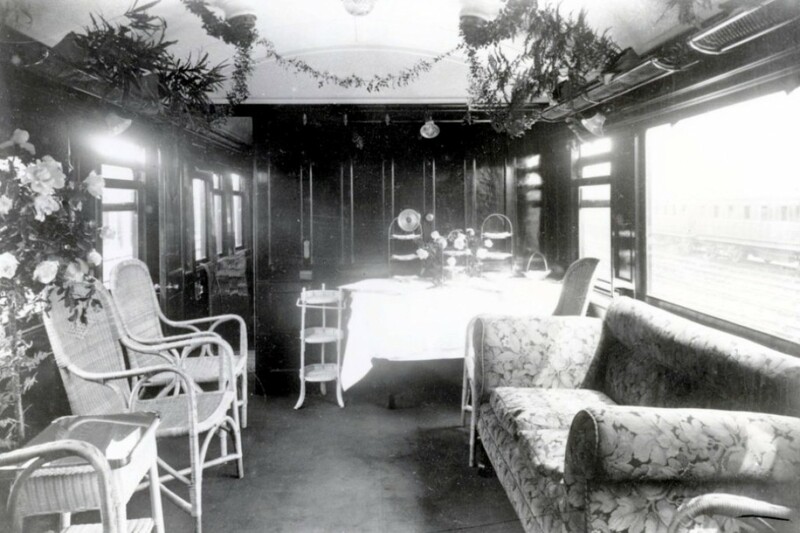 It was usually coupled next to the Dining Car so that a drinks and snacks service could be provided by smartly-dressed Society volunteers. 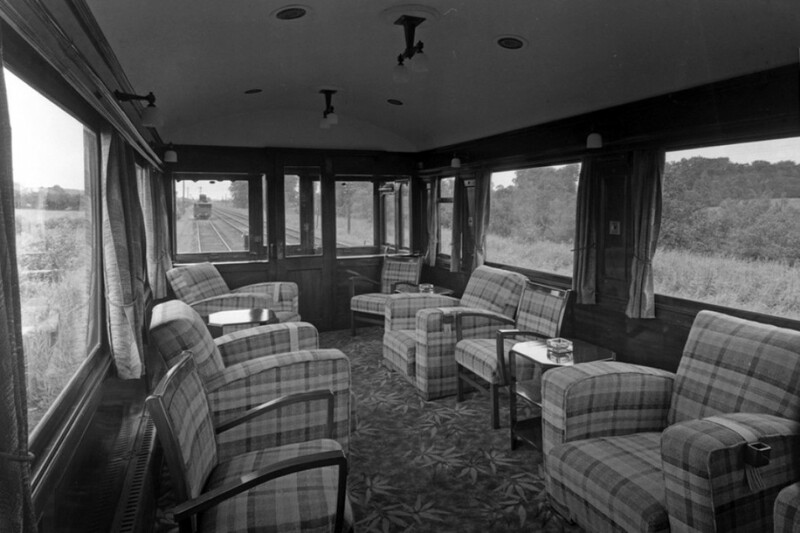 Between 1981 and 1988, the saloon was included in seven "Portrush Flyers" and ten "Steam Enterprise" trains, including the landmark 40th Anniversary Enterprise in 1987. 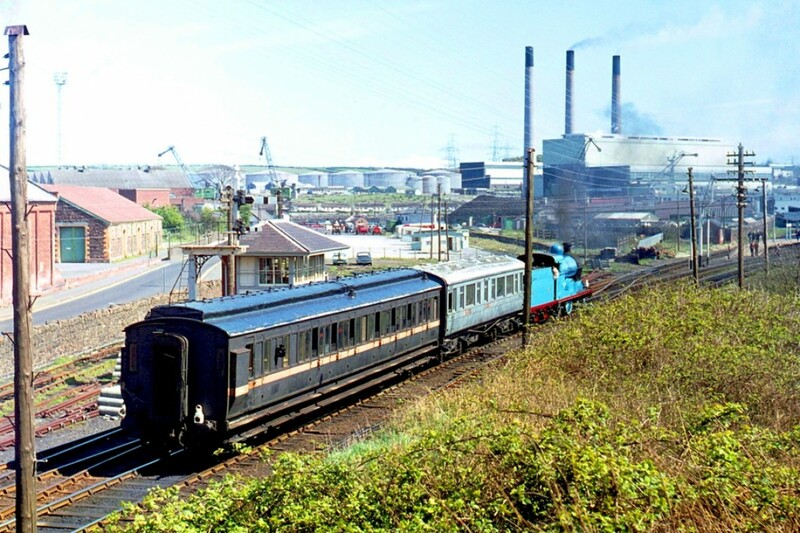 It ran as part of nine other trains including the remarkably long day of special workings for the Permanent Way Institute in June 1985. 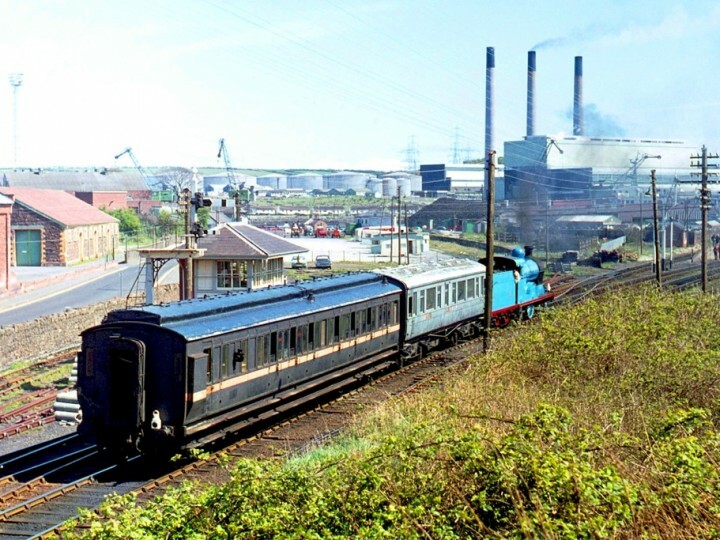 The saloon's last working was the "Steam Enterprise" of 3 September 1988 and it then languished in the open at Whitehead. 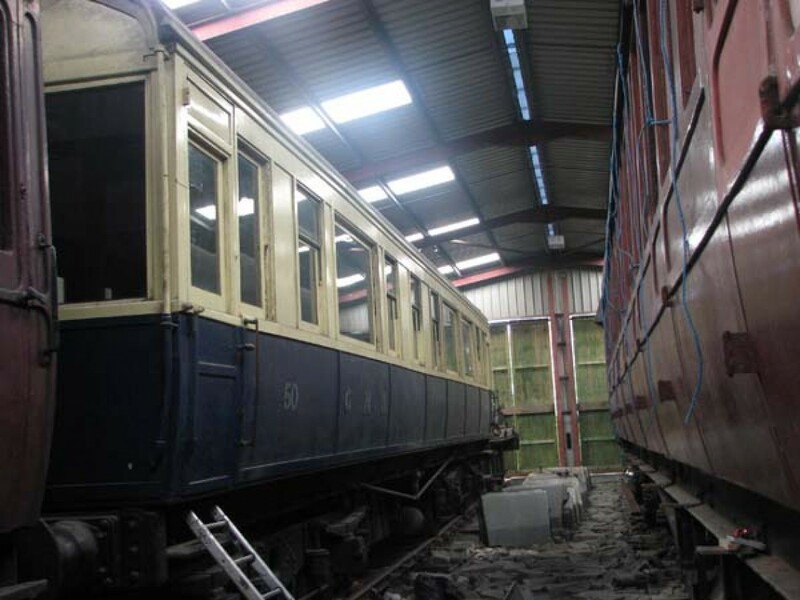 It was restored by our volunteers in 1993 and, on 26 September 1993, was worked to the new Irish Railway Transport Gallery of the Ulster Folk and Transport Museum. It was on exhibition for the Gallery's opening and remained there until 19 June 1994 when its place was taken by CIÉ Dining Car 2422. 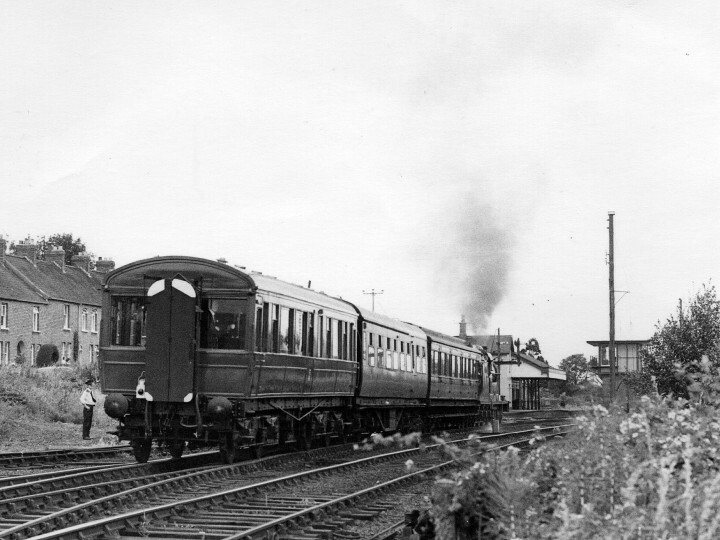 Now back at Whitehead and in traffic, the saloon's first train was a Santa special and it had at least four outings in 1995. 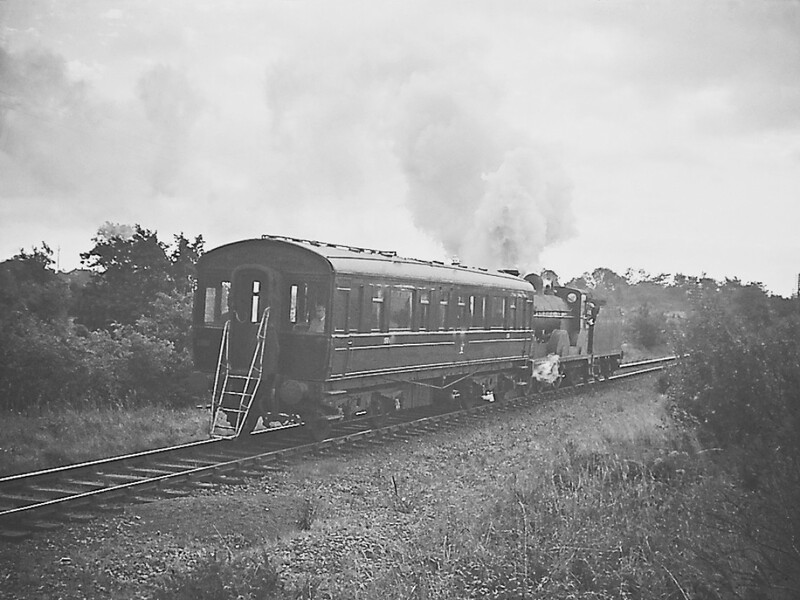 The first of them, in February, was a charter for Ulster Television who filmed a Valentine's Day programme on the Bangor line. Known as the "Love Train", the operation included removing one of the saloon's large windows so that a piano could be got on board! And doing it all again to get the piano out, of course. 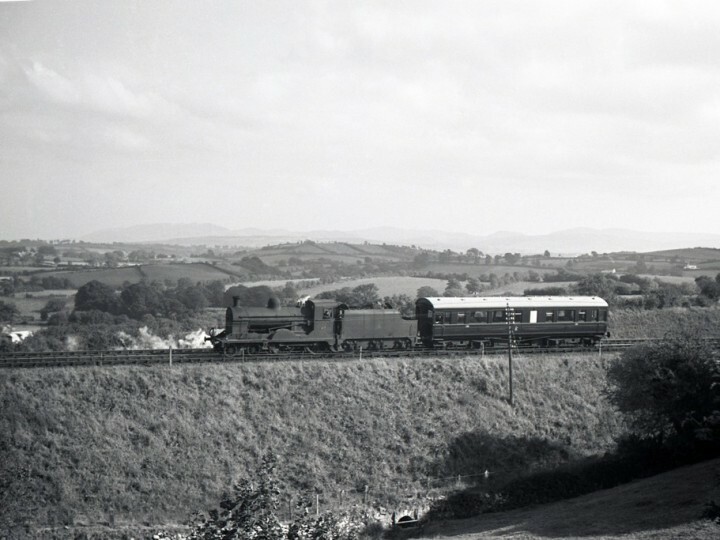 The saloon also ran in the Big Breakfast charter to Ballymena on 23 May 1995, on the only Steam and Jazz train (so far) to visit Poyntzpass on 23 June and it was, fittingly, in the first steam train out of the reopened Great Victoria Street, the "Phoenix" to Dundalk, on 10 October 1995. 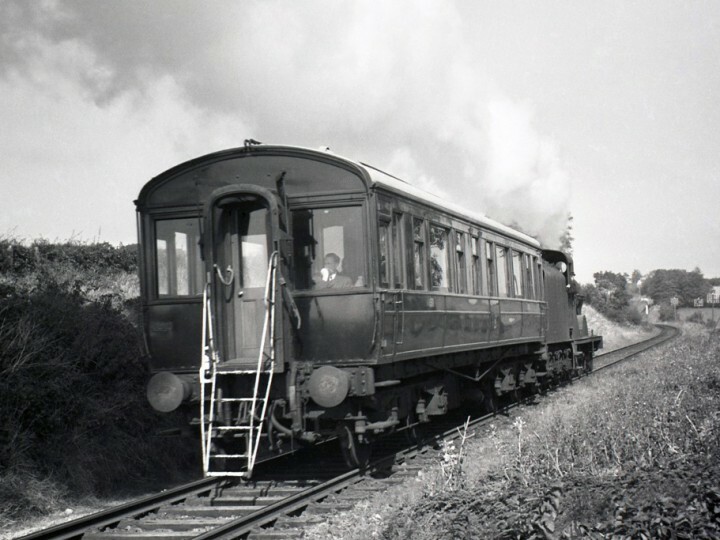 It is believed that its last main line working was on 30 March 1996 on a train chartered by Helen's Bay Golf Club to celebrate the club's centenary. The saloon retired to Whitehead but could now be kept under cover. Its confinement was reinforced by the 2003 ban on wooden-bodied carriages on the main line. In its latter days in mainline service with the Society, it carried the GNR(I) blue and cream livery, and this is how it is now displayed as an exhibit in the Whitehead Railway Museum.